New photos show how we, literally, reshape our world. From the impact of burning fossil fuels on air quality to how off-shore drilling practices can harm our oceans, our energy demands are constantly affecting the environment, and the effect of hydraulic fracturing, or fracking, on the world has been the subject of several studies in recent years. The most notable of these studies explore how fracking induces earthquakes in surrounding areas, and now one such study suggests that we can actually predict where fracking-induced quakes are likely to occur using images of fracking sites as seen in space. These images show the slight surface buckling produced by the high temperature waste water injections done in fracking. The buckling is not much, just about 3 millimeters (.11 inches) a year, but it is still observable. 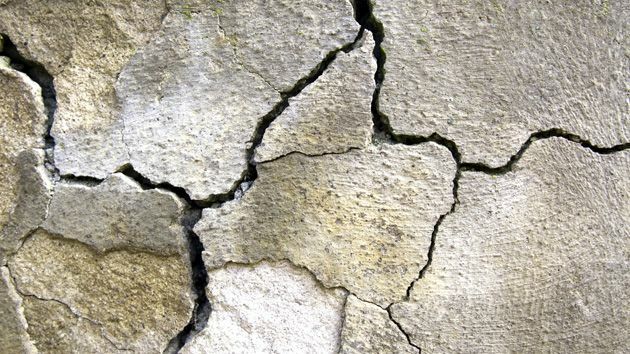 Arizona State University’s Manoochehr Shirzaei suggests that these deformations are usually found near areas where quake-induced fracking occurred or is likely to occur. For example, ground buckling was seen in the area of 2012’s Timpson earthquake, the largest ever recorded in Texas (a magnitude 4.8) and one largely attributed to fracking activities. Shirzaei’s team studied a pair of wells about 15 km (9.3 miles) from each other. Their research, published in the journal Science, suggests that the geology of the area where water is injected during fracking determines if a quake is likely to occur. “To the best of our knowledge, it’s the best explanation and proof that injection can trigger an earthquake,” says Shirzaei. This need not be the case, however. Shirzaei and his team suggest a particular way of injecting water that will not lead to buckling and that can minimize the potential for quakes. “If you inject at the right depth, and it’s sealed at top and bottom, you minimize both the chance of a quake and of contamination of groundwater. If frackers follow this recipe we provide, they can minimize the numbers of large earthquakes they’re likely to cause,” Shirzaei explained. At any rate, activities like fracking are, literally, reshaping our world. Historically, earthquakes in the Midwestern United States were almost unheard of until the fracking boom in 2008. Between 2009 and 2015, however, approximately 1,570 earthquakes of magnitudes 3 and above have been recorded. While statistics like the above might not fully convey the impact humans are having on our environment, technology is now allowing us to literally see that impact. A picture’s worth a thousand words, and these images from space are saying a lot about how much power we have in reshaping our world. Thankfully, technology such as the fracking techniques offered by Shirzaei and his colleagues can also help us treat it right.